Perfect title if there ever was one, and atmospheres are something synthesist Rudy Adrian is a master of, on this title and so many that have come before it. This is in fact his first release sinceDistant Stars around four years ago, and concentrates more in floating realms that some of his earlier sequenced works. Each of the nine tracks here are fueled by the inspiration of the beauty and terrain of his native New Zealand, slowly evolving sonic landscapes rich in textures and coloration, like thoughts, dreams and memories unfolding all at once. This is eyes-closed and headphones-on music that sparks the imagination from every direction, full of power, bright colors of chromatic purity interleaving with subtle shimmering layered pastel shades, occasionally pulling in some found sounds and voices providing added imagery. The descriptive titles offer a clue to Adrian’s inspiration for each piece: “Through A Cave Into Another World,” “Amber Skies,” “The Temple On An Island,” “Willow Bank.” The liners mention his experiences as a boy, hiking and kayaking with his father in these places in the south of New Zealand. Two of the pieces “Dreams of SUBAntarctica” and “Beyond The Silver River” were taken from previous projects, the latter never released, but they fit in perfectly with the other seven titles presented here. All taken, Atmospheres is another well conceptualized ambient masterpiece that provides a rich sonic backdrop for a private world of mental imagery and spiritual release. Almost four years have passed since magnificently absorbing deep space odyssey "Distant Stars" CD (out on Lotuspike in August of 2010). 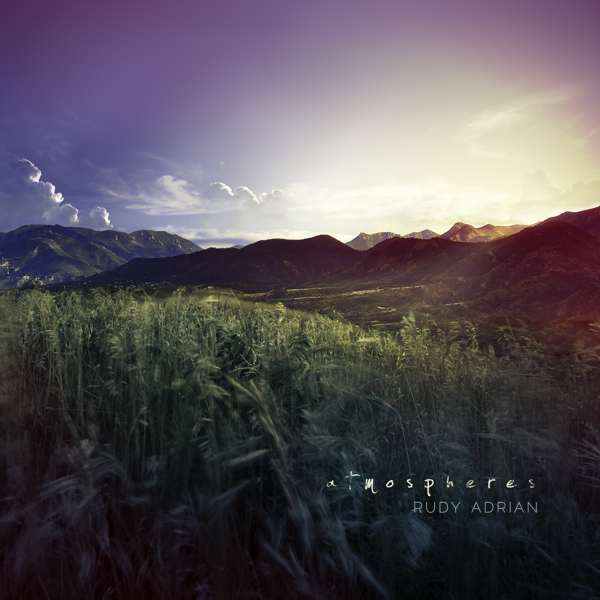 In the meantime Lotuspike gang has joined their kindred spirits at Spotted Peccary and this label welcomes and celebrates the newest album by Rudy Adrian entitled "Atmospheres", released during March 2014. Still keeping in mind the immersing tranquilizers such as "The Healing Lake", "MoonWater" or "Desert Realms", I can't wait to dive deeply into the heartwarming soundscapes of this respected New Zealander. Photography and design gurus Jourdan Laik and Daniel Pipitone are on hand to deliver the most suitable visual expression for Rudy Adrian's intensely evocative soundscapes. The first examination of 4-panel eco wallet clearly confirms their craftiness. "Apple Tree Bay" immediately embraces the listener with its pristine soothingness and scenic magnificence, which masterfully captivates the memories of Rudy Adrian, when exploring gorgeous landscapes as a youth with his father during their hiking and kayaking journeys. Tranquil field recordings and fragile sounds of chimes ring in tender symmetry with meandering washes, while subtle wind dissonances and hummed fragments cruise above juxtaposed with vague bass circles. 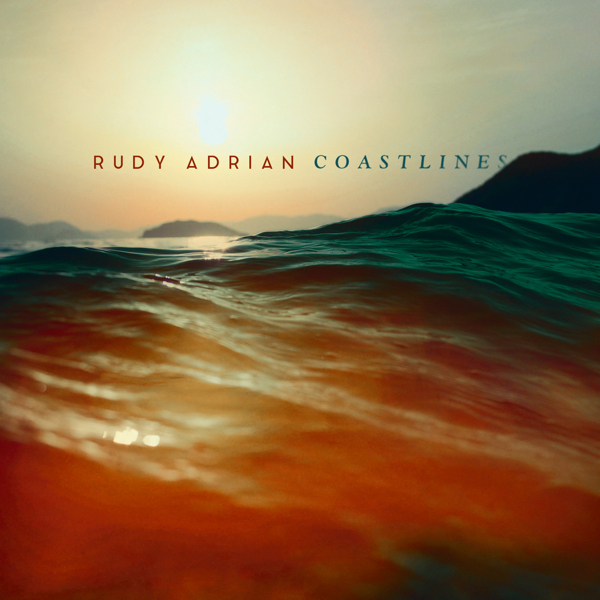 A stunningly evocative intro, Rudy Adrian is back in full strength!!! The track title "Atmospheres" dives into darker drone terrains, emphasized by mysteriously perplexing reverberations, but its comforting organic feel occurs at irregular intervals. This composition ingeniously bridges dimmer motifs with brighter subtleties, another very strong piece!!! "Willow Bank" remains in intensely evocative terrains, where monumentally surrounding contemplative waves, spiced by assorted deep drones and otherworldly traceries, are carefully counterpointed with flickering pristine tinkles. "Blue Horizon" floats on tranquilly meditative wings of its predecessor and occasional trademarking hums appear on the skyline. A pure medicine for your mind!!! 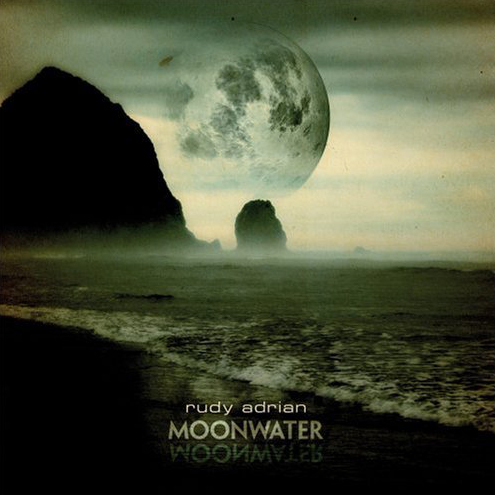 But Rudy Adrian keeps on transcending, "Through A Cave Into Another World" takes the listener into magnificently spectacular underground sceneries led by gorgeously immersing tinkles and backed by soothingly monochromatic drifts. But along the way balsamic shakers steal the forefront and masterfully intertwine with utterly poignant wordless vocals by Rudy. The track title is sufficiently precise. As always, Rudy Adrian is using his voice in exceptionally breathtaking way, this is undoubtedly absolutely thrilling and awe-inspiring listening experience!!! "Amber Skies" attracts quickly with its soothingly winding wide-screen nostalgia. The next composition, "Beyond The Silver River", is again, as the opening piece, dedicated to Rudy Adrian's father. Rich natural field recordings are amalgamated with expansive washes and Rudy's unique, nearly ethereal voice expression and overtone chanting. A few discordant embellishments inconspicuously sneak in here and there along with identifying hums, rattle sounds and distant sparse bass oddments known from the opening composition. Another top-notcher!!! "The Temple On An Island" paints magnificently mindscaping images, easily recognizing Rudy Adrian's enchanting signature sound melting monstrously impressive and deeply transporting monochromatic panoramas with always delicate radiant, organic nuance. Bravo!!! The closing cut, "Dreams Of SubAntarctica", is a reissue of the track taken from the album "SubAntarctica-Atmospheric Works Volume One", self-released by Rudy Adrian on CDr in 1999 as his debut album. A quite cinematic texture cascading through various dramatic peaks and vistas. Again intensified by Rudy's vocal wizardry and sporadic humming groans, although safely heading toward untouched coastal sceneries. Rudy Adrian is back and "Atmospheres" album presents him at the very top of his game with all insignias featured!!! This is a really triumphant return, welcome back, Rudy!!! Yes, the long wait was definitely worthwhile, but keep in mind, Rudy, your sublime soundsculpting is always needed and I simply can't imagine to wait again four years... In any case, "Atmospheres", mastered by Spotted Peccary's Howard Givens, is another must-have landmark by this ambient virtuoso from Dunedin, in the South Island of New Zealand!!! Although Jonn Serrie, Michael Stearns and Iasos have well explored the territory of Spacemusic, it is good to find Rudy Adrian out there paying a visit from time to time too. Looking ever outward his CDAtmospheres (59'22") moves at lower velocities as the music amiably drifts and lingers. There is not a chord, melody or inflection that does not pull at the heart or make it soar. Impeccably rendered lush harmonics provide sheer enchantment while slow melodic synthesizer lines open onto the horizon with a searching quality. Each of the nine tracks patiently reveals itself, building on consonant drones, spare ringing notes and shimmering atmospheric effects. Absent any motion gained through sequencer pulsation Adrian directs his attention toward producing sounds of interesting timbre and moods warmer, more comforting, and less questioning. Atmospheres, without being minimal, will slow the listening mind. It will engage our thoughts without being overly musical - and transport without us ever leaving our seats. Rudy Adrian puts his whole spirit into his music. From the meaning of The Cosmos to calming the soul's disquiet, this music may feed a hungry mind and fill a deserted heart. 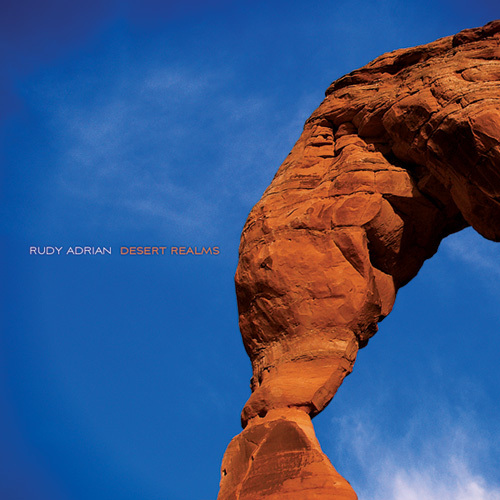 It’s been about four years since the previous cd of New Zealand-based ambient composer Rudy Adrian was released. Those fond of his earlier textural releases "Desert Realms" or "Moonwater" will be pleased to find a progression of ethereal, highly cosmic soundscapes on "Atmospheres". Just have a listen to the lush "Willow Bank", Blue Horizon" or "Amber Skies", all lovely drifting pieces to gently and most comfortably immerse into, but which also could have lasted a bit longer. Most of the tracks found on "Atmospheres" were created in the last 10 years for other projects and albums, but didn't seem to fit in there too well in the end. But here they do most certainly, forming a cohesive whole despite their individual nuances. Moreover, a number of the tracks remind Rudy of times he spent with his father exploring the New Zealand coastlines with kayaks or by traveling along the coastal walking tracks. All nine pieces are tranquil, introspective and cinematic, travelling gently into vast textural landscapes while attempting to evoke the quiet open space that can still be found in the south of New Zealand. "Beyond the Silver River" is of course an out-take from Mr Adrian’s collaboration with Ron Boots for "Across The Silver River", while the 11-minute "Dreams from SubAntarctica" is taken straight from the 1999 bonus track on the cd-r "SubAntarctica". And the track "The Temple On An Island" was created by using as a starting point several of the same sonic layers featured on "Entering The Temple..." from Rudy’s previous album "Distant Stars". Another ambient beauty is the 6-minute "Through a Cave Into Another World", which was an unfinished track from the mid-2000’s to which Rudy added vocals, bells and various other elements in a most sophisticated way. The title itself refers to the sea caves in New Zealand that you can walk through at low tide. All in all, "Atmospheres" makes a fine imaginary trip that will be right up the alley of any ambient music fan. Rudy Adrian's latest release Atmospheres explores sonic associations of natural spaces. The tranquility of landscape, the heaving lentor of open sky, the sense of awe experienced simply by being a part of the world - Atmospheres captures these elements and gracefully alchemises them into beatless, atmospheric musical sound. The recordings establish that contented serenity that comes from enjoying the environment: smooth textures, delicately layered, waft, meander, lift and soar inhabited by well-chosen field recordings and subtle melodic forms. There are faint percussive touches, often deep down in the mix; hints of enormity in low bass exhalations; human vocalisations that curl and reverberate and peculiar flute-like notes. Not a minimal album quite, but one where lush ambient pads and harmonic currents softly outweigh melodic suggestions. Atmospheres is presented in a pleasing card wallet (card sleeves are so much nicer objects than plastic cases) of two panels. Each section holds an expansive landscape photograph of wind-blown grasses, distant hills and beaming sky. On the nearly-square outer panels grass detail holds centre stage, sky lighting a narrow upper band with angular horizon arcing between. Inside, however, the horizon is dropped allowing the sky of this panorama to stretch out majestically. Little text is on the outer cover - track titles on the rear and label info. The inside left section has a couple of paragraphs from the artist explaining some of the inspirational aspects of the music as well as a touching dedication. The inside right provides some insight into the instrumentation used in the making of the music and an invitation to make contact. 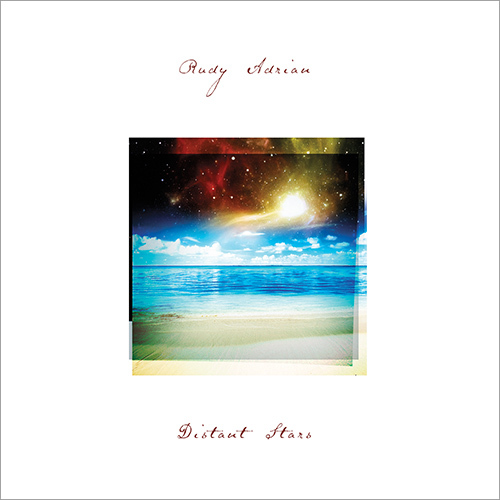 Rudy Adrian follows up his 2010 release Distant Stars with this inherently more earthy collection - Atmospheres. Sleeve notes reveal that the music was created "in an attempt to evoke the quiet open space that can still be found in the south of New Zealand." Taking the paths laid down on Desert Realms and Moonwater, Adrian here refines his organic ambient approach in to a fine degree - very calm, very thoughtful, very deep. Although the music here has been recorded across a period of many years (Dream of Subantarctica having been part of a CD-R album back in the 1990s) the feeling of natural continuity is powerful: the nine tracks flow in an easy drift from the lapping water motion that opens Apple Tree Bay to the fading tides of the final wind-down. Find out more by visiting the Spotted Peccary website or the artist's own official site where listening and purchase options can be found. Bearing the perfect title, atmospheres is synthesist Rudy Adrian's electronic impression of natural vistas is inspired by "the quiet open space that still can be found in the south of New Zealand." Abidingly ethereal, spacey, and gently flowing, these nine tracks accommodate whatever relaxed state of mindfulness (introspectively spiritual or otherwise) one cares to favor. Well short of possessing structured melodies but more substantial than formless background fare, Atmospheres is imbued with subtle shifts in tone and texture that complement rather than detract from its inherent meditative qualities. This can involve sounds of water or ocean surf breaking ashore, birds flocking nearby or echoing from afar, shimmering/tinkling electronic filigree and softly crooning wordless (male) vocals. In fact, wider application of "found" nature sounds and other indigenous effects – a la, shamanic rattles lending mysterious intrigue to "Through a Cave into Another World" – would have provided Adrian's New Zealand–centric vision deeper, more tangibly realized character.